My excellent powers of deduction led me to believe that these were the hours of operation, and that “po – pá” must be the shortened versions of two weekdays. The entirety of my Czech vocabulary consists of the words for pancakes, potatoes, dumplings, Czech, I love you, thank you, how are you, mom, dad, and hello, so I started plugging weekdays into Google Translate. “Monday” is “pondělí,” so that accounts for the first day. I typed in “Tuesday;” that day starts with a u. “Wednesday” starts with an s. Thursday… well, I stopped short at Thursday. What the hell is this?? My awe for my father grew tenfold at the thought that he is capable of pronouncing such a thing. I can’t tell whether this is a result of Eastern Europeans’ abiding love for the Cure or their tendency to embrace Western European and American pop culture 10-20 years after the original issue date, as though the Iron Curtain still existed. The latter sounds patronizing, I know, but it’s been my observation each of the 3 or 4 times I’ve been in the Czech Republic and the one time I was in Romania. 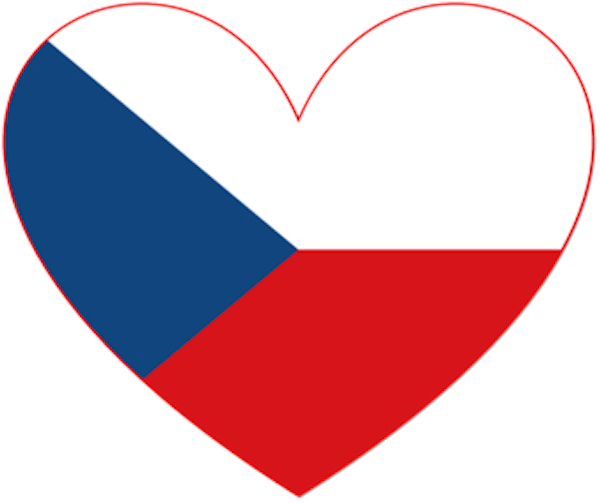 Either way, I love the Czechs. P.S. Today is International Mother Language Day, which promotes the preservation and protection of all languages through multilingualism and multiculturalism. It’s therefore highly appropriate that I write about my father’s mother tongue today – though also highly inappropriate that I’m taking absolutely no initiative to learn it.